Angel Di Maria scored two stunning goals as Paris Saint-Germain thrashed Barcelona 4-0 on Tuesday to take control of their Champions League last-16 tie. In one of the most remarkable performances in the competition's history, the Ligue 1 champions completely dominated Barca at the Parc des Princes, taking the lead through Di Maria's free-kick after 18 minutes. Julian Draxler added a second in the 40th minute before Di Maria curled home their third from the edge of the box 10 minutes after half-time. 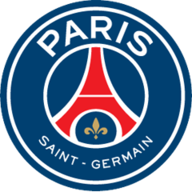 Edinson Cavani sealed the rout with a low strike to put PSG in a formidable position ahead of the second leg at the Nou Camp on March 8. The scoreline, which equals Barcelona's worst ever Champions League defeat, could have been even worse on an awful night for the Spaniards, who also squandered the chance to grab an away goal when Samuel Umtiti's header struck the post from point-blank range. Can Emery lead PSG to glory? They will need to make Champions League history to advance as no side has progressed after conceding a four-goal first-leg deficit. 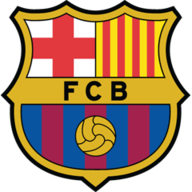 Luis Enrique made three changes from their 6-0 victory over Alaves, while Unai Emery recalled Draxler as one of two alterations from PSG's win at Bordeaux. The January signing from Wolfsburg tormented makeshift right-back Sergi Roberto throughout but was by no means the only PSG player to sparkle on a memorable evening for the Parisian club. Di Maria, celebrating his 29th birthday, opened the scoring to cap a ferocious start by the French side, who pressed their opponents high and routinely won possession in advanced areas. Despite being comfortably second best, the visitors almost levelled against the run of play when Neymar slipped through Andre Gomes but goalkeeper Kevin Trapp denied the midfielder. It was a rare moment of quality from Barca in an otherwise dreadful display and they deservedly fell two goals behind just before the break. Marc-Andre Ter Stegen had already made one big save from Draxler when the PSG winger beat his Germany team-mate at the second time of asking, smashing low into the corner from Marco Verratti's perfectly-weighted pass. The Italian playmaker was at his imperious best in the opening 45 minutes, while young defender Presnel Kimpembe - making his Champions League debut - was barely tested by Barca's fabled attacking trio. Lionel Messi, who coughed up possession leading to Draxler's goal, endured a difficult night and Luis Suarez was expertly marshalled by Marquinhos and Kimpembe. The second half followed a familiar pattern and PSG made their dominance count through the superb Di Maria. Emery's side picked their way through Barca's press and the Argentina international whipped his strike past Ter Stegen from 18 yards. Cavani got in on the act too, marking his 30th birthday with his 34th goal of the season after Thomas Meunier waltzed through Barca's non-existent midfield. The home crowd could scarcely contain their glee in the closing stages, cheering every PSG pass as the hosts looked to play out time. They suffered a scare with six minutes to play, though, when Umtiti should have poached an away goal but the young Frenchman rattled the woodwork from three yards. It summed up a hapless night for Barca, who have not exited the Champions League at the last-16 stage since Liverpool beat them in 2007.